Today is the last full day of winter according to the calendar. Once again it lasted way too long for this beach loving crew. I've been away from the blog so long it's hard to know where to start on updates. 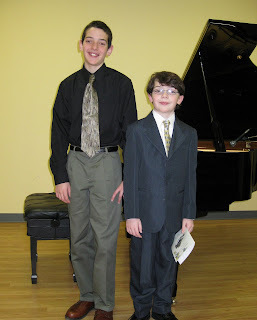 The kid's had their winter piano recitals and they sounded great. 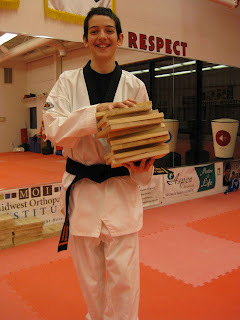 After 2 years of hard work, my eldest son tested and received his black belt in TaeKwonDo. We attended a home school conference a couple of weeks ago. 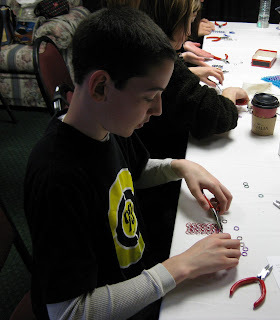 There is another "crafter" in the house as my eldest is now obsessed with creating chain maille. 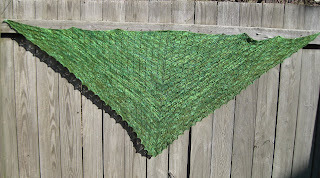 I knit my first triangular shawl, the forest canopy shawl. I finished knitting and blocking it just in time to wear it for St. Patrick's day. 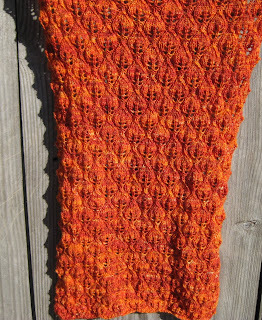 I enjoyed knitting it so much the next day I cast on for another shawl, the woodland shawl. It's hard to love the bunched up mess that lace knitting evolves into but I think it will block out nicely and become another one of my favorite knitted items.